It is becoming increasingly common among home owners to create a hotel inspired suite in their new home allowing home owners to experience that ultimate hotel feeling, every day in the comfort of their own home. This hotel aesthetic can be formed through a varied combination of materials and colour palettes, that will deliver the unique hotel ‘look’. Whether that be casual, relaxed and contemporary or completely luxurious- there is unlimited potential. As seen in The Manta…. If you are searching for boutique hotel suite inspiration, look no further than The Manta. The latest display home features a secluded master retreat, creating a private parent’s sanctuary complete with a resort-inspired ensuite with double vanities, a free-standing bath tub and private water closet. 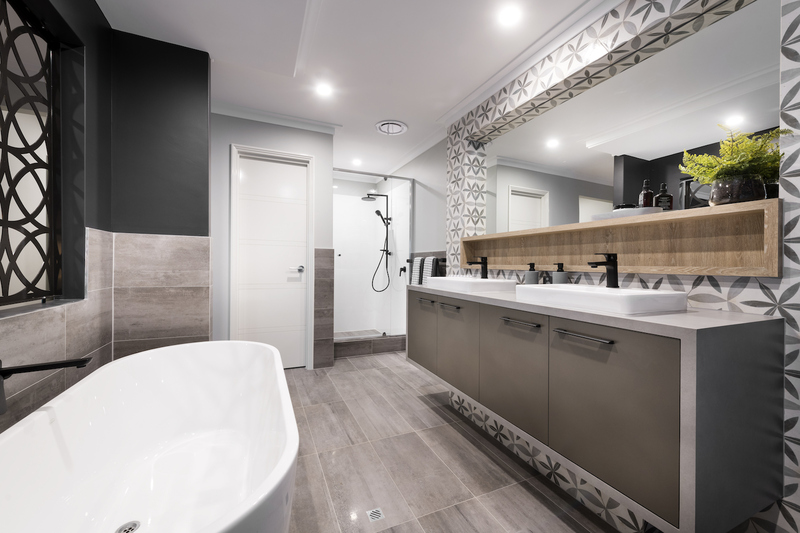 Key bathroom features that would be essential to developing the hotel-suite fit out include a large shower, with two or multifunctional shower heads, an impressive stand-alone bathtub that captivates the room. Double basin vanity which features a large mirror and hidden storage spaces. Another major component to consider is diverse lighting. Multiple lighting options ensure the space is used to its full potential. Recessed down lights or a backlit mirror can be great options for applying make-up or shaving whilst dimmers should be incorporated, allowing you to alter the strength of the light depending on the time of day. 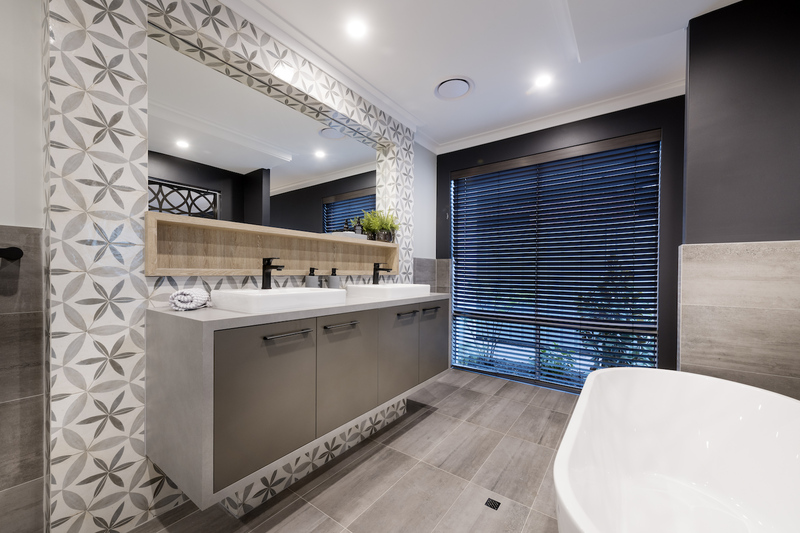 It may sound simple, but finishing touches to the ensuite can enhance the overall ambience and complete the style of the space. Small, yet effective additions such as fresh towels, with a particular colour theme or pattern, potted plants or greenery, that are focal points of the relaxed atmosphere or scented candles and aromas from bathroom products. These elements will combine to evoke sensory reactions to the space. Once all these options have been considered, you are ensured to wind down and enjoy the ambience of your hotel suite inspired bathroom.